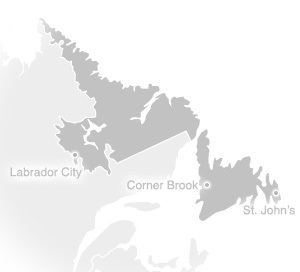 No matter where you find yourself in Newfoundland and Labrador, you’ll feel so very, very far away. This place does that to you. It sweeps you off your feet and keeps you there for as long as you want. The land itself is like no other – cliffs and barrens, bights and guts – around every corner there’s the unexpected. We hope you make the most of this wild and wonderful place. We’ll do everything in our power to make sure your journey is as surprising and intriguing as you want it to be. Newfoundland and Labrador is clearly a destination unlike any other; brimming with history, culture, adventure and mystery. It is a land of icebergs, whales, genuine, friendly people, and rarely scenic beauty. Our home is quaint yet cosmopolitan; old, yet sparkling with a renewed spirit. We invite you to our province to experience the wonder of this place. We know you will feel right at home.